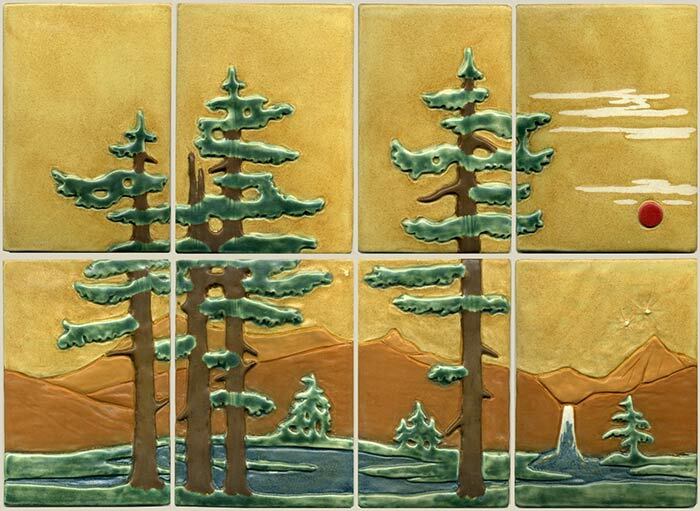 This fir mural set enlarges our horizontal fir landscape with another row of tiles. The overall size is approximately 14" high by 20" wide. 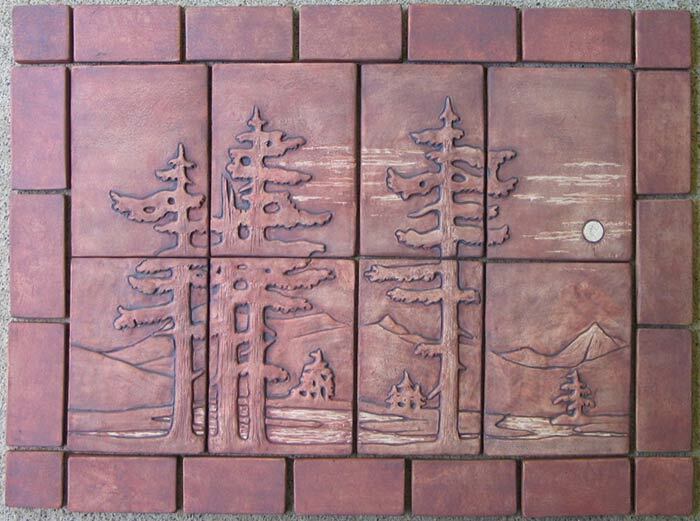 We can add simple border tiles (see sample with 2" wide border) for an additional charge. 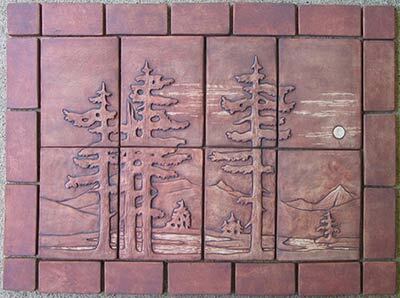 These tiles will be glazed to your specifications, creating a unique work of art. We can customize the scene with or without a waterfall, clouds and sun/moon. If you want some combination of colors that you don't see, please call or email to discuss new possibilities. Colors shown: sepia stain with white highlights on moon, clouds and water; pharsalia sky with pumpkin and orange mountains, pine green foliage and blue gray water.